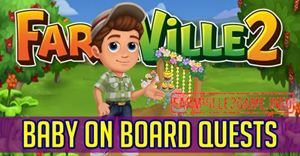 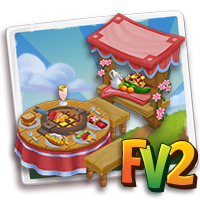 Join Marie in a fun-filled event in Farmville 2 Summer Grill. 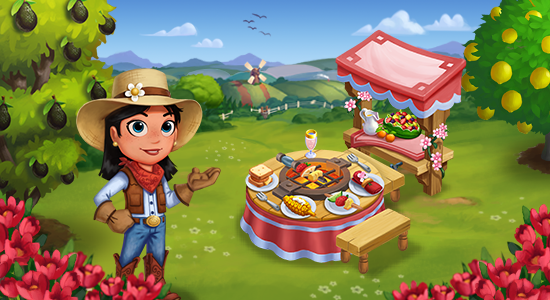 This feature from what we learned will be where we will invite our friends to come over to our farm for some summer barbecue. 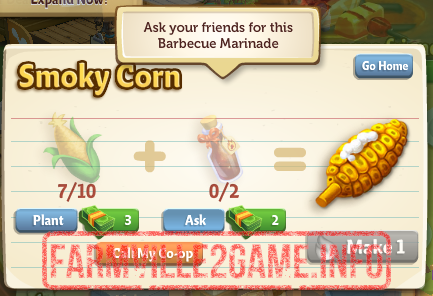 There will be three types of recipe to be made and each one will correspond to a number of ticket or in this case, recipe cards. 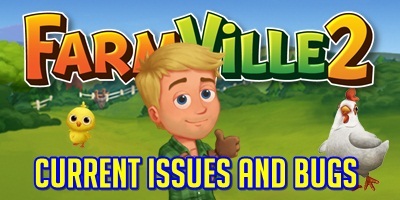 We have collected some unreleased images of this building and we hope it will give you some idea on what things to prepare. 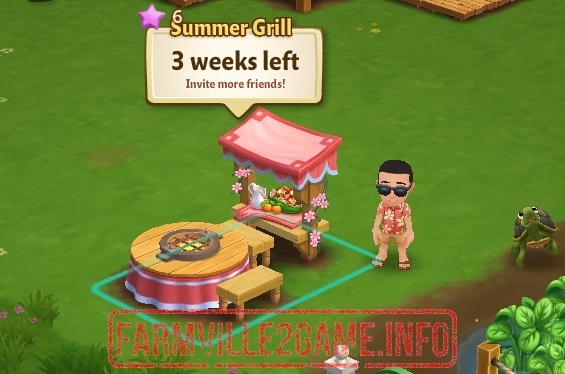 The Summer Grill will be available Tuesday (June 23rd). 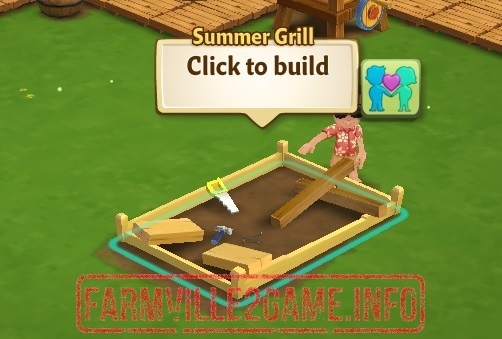 Build your Summer Grill with the following parts from your friends. 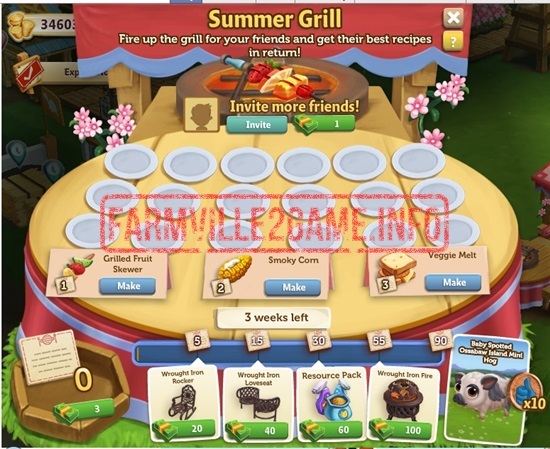 Here’s a look of a completed Summer Grill. 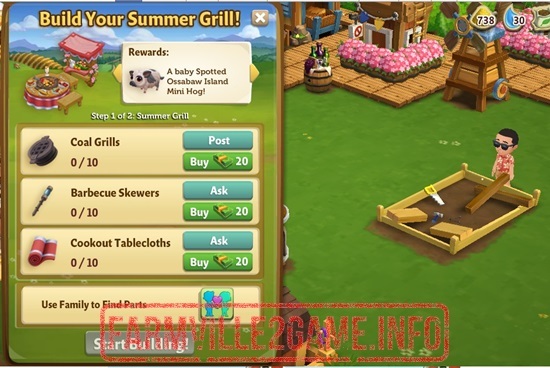 Here’s a look inside the Summer Grill. 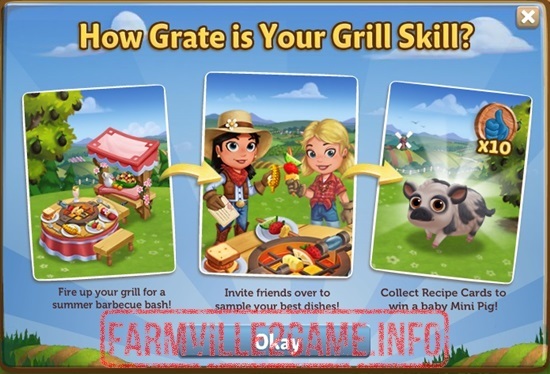 As we can see there are 3 recipes to craft: Grilled Fruit Skewer, Smoky Corn and Veggie Melt. 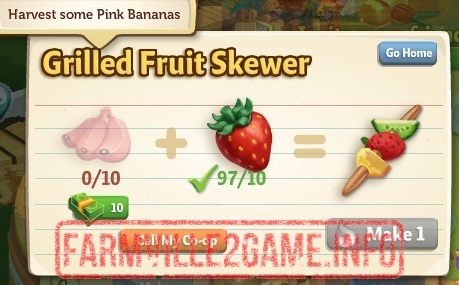 Each of these recipes corresponds to a number of tickets or Recipe Card. 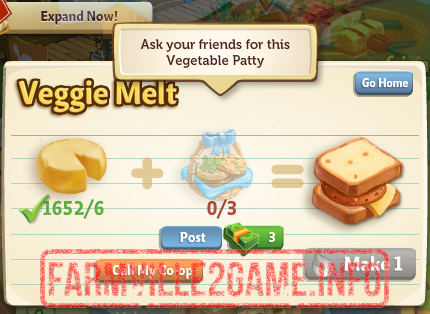 Later we will show you the items that you can exchange with the Recipe Card.